Sweet cherry used most often as rootstock for other varieties. 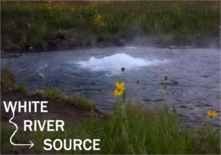 Produces a quality red fruit. Hardy to -40F (-40C); height: 40ft. Certified seed. 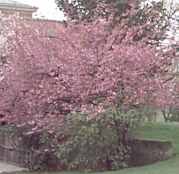 Flowering cherry with a wide spreading habit. Blooms are pink and very fragrant. Single pink blossoms on slender weeping branches. 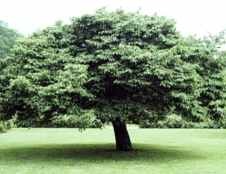 Good landscape or specimen tree. Hardy to -30F (-34.4C); height: 15ft. Wide spreading cherry with white spring blooms followed by small fruits. Hardy to -40F (-40C); height: 30ft. Dense rounded growth habit producing single white blooms in spring followed by deep red-black sweet fruits. Attractive ornamental as well, with a rich yellow fall color and glossy leaves. Valuable timber tree. Hardy to -40F (-40C); height: 60ft. Wide spreading tree with attractive red bark. White spring blooms. Hardy to -40F (-40C); height: 40ft. Spreading medium tree with pink springtime blooms. Hardy to -40f (-40C); height: 40ft. 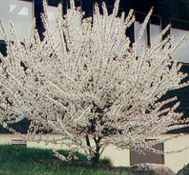 Super hardy small shrubby cherry with white spring blooms followed by small fruit. Hardy to -50F (-45C); height: 10ft. 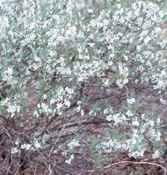 Small tree or shrub with twisted branches and a round growth habit. Blooms are white, fruit is dark red-purple. Hardy to -50F (-45C0; height: 8ft.